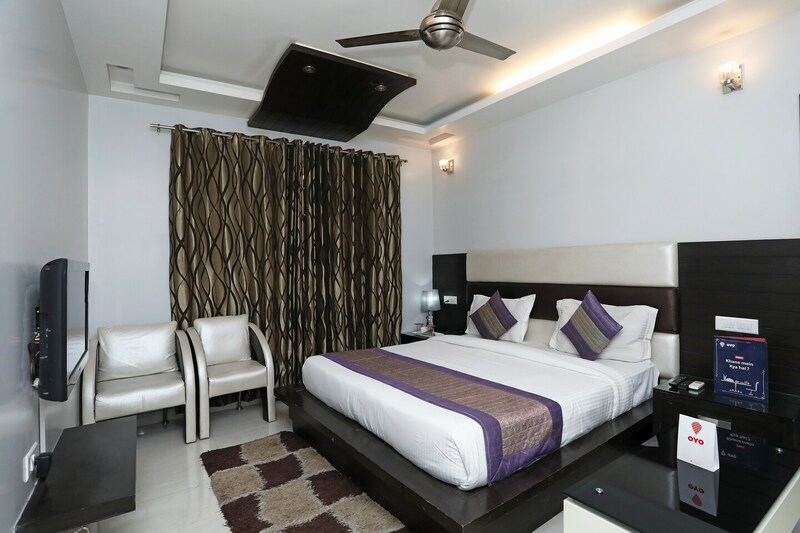 Hotel Daffodils is located in Greenwood City in sector 45 of Gurugram. It has a grand lobby with seating space and a double storied ceiling with hanging chandelier. The services provided by the hotel are free wi-fi, bed with side tables, mini fridge, air conditioning, power backup, parking facility, television, geyser, card payment, laundry services and CCTV cameras along with wheelchair accessibility. The Indira Gandhi International airport is located 17.4 kilometers away. You can also visit the Vintage Camera Museum and Foundation located within half an hour of driving distance. Eateries in the area include Raj Restaurant, Aju Japanese Hotel, Thai Pavilion, and Ivy Restaurant.